I apologize for taking so long to get to part 3. Part 4 will be posted by Jan.30th or sooner. This is good advice and a great foundation but it is practically impossible to become a great writer in a vacuum. At some point, we all need feedback on our writing because it’s difficult to look at our own work objectively. Too many times I have read writers lamenting the difficulty of getting thorough, in-depth, thoughtful, and helpful reviews. Many of these writers send out copies of their manuscript to anyone that says they’ll take a look at it and the only direction they give to the potential critiquer is ‘tell me what you think of this.’ With this approach, 99.99% of the time they will be disappointed. If the percentage is lower than that, they just got damn lucky and they should take note of anyone that didn’t disappoint them for future reference. Finding the correct people to be your alpha readers, beta readers, and advanced readers that are willing to dedicate some of their time and energy to help. Letting these readers know specifically what feedback you would like from them with a mutually agreeable timetable. The feedback will change some at each stage in the process. 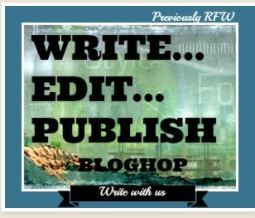 Reciprocity is the typical currency between writers but some of your critiquers will not be writers. Small gifts for your alpha or beta readers are appropriate and not prohibited as long as the gifts are not dependent on them posting reviews. I’ll discuss advance readers in a later post. In my last post, I listed the most popular points in the writing process for writers to seek critiques. The first one is early in the writing process before doing a line edit. Some writers do this with their first draft but I recommend doing at least one rewrite before getting your first readers or alpha readers. I wouldn’t spend a lot of time on punctuation errors, typos, misspellings, etc. but you do want the draft you send to be intelligible. If it is difficult for your alpha readers to understand your writing, you will lose them. The next step is to find 3-5 alpha readers that you know will give you thorough and helpful critiques. That number is just my suggestion. Some writers use more and some less. If you are lucky enough to know 3-5 thorough critiquers that will agree to be your alpha readers, cherish them and treat them well. If you don’t, then your search for alpha readers begins. Below is a list of recommended do’s and don’t’s and steps to take in your search. This list is very detailed and meant for writers that are new to the process so J.K. Rowling and Stephen King, you can stop reading at this point. Many new writers ask their close friends to be alpha readers. They are not likely to give you thorough and helpful reviews. If you don’t believe me, test it. When they come back and tell you it was wonderful, be thankful you have friends that didn’t want to hurt your feelings and move on. Family members are also not recommended. If your relationship is good, the result is the same as in #1. If the relationship is not so good, they are likely to shred you. That’s not useful. 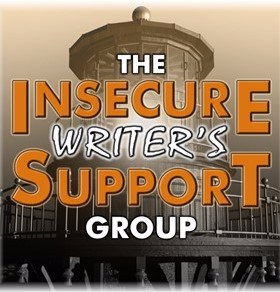 Join a few critique groups in your book’s genre or websites that have critique groups in several genres and get to know the members and their critiquing styles. Get involved and if you’ve never performed critiques, now is a good time to learn. You will be amazed at how much you learn about writing through critiquing. I recommend doing this well before you get to the point of needing alpha or beta readers. If you didn’t plan ahead, take this time to rewrite, edit and polish your first chapter. Then put your manuscript away and start working on your next project. Get involved with these groups, get to know the members, and learn and/or practice critiquing. After at least a month to six weeks (Don’t blow a gasket! The world is not going to end because you waited a few more weeks to start getting feedback on your manuscript. Well…it MIGHT end but it won’t have anything to do with you waiting and this time is well worth the investment. Having put your manuscript away and being focused on other things will also give you a fresh perspective on your novel.) you should be more familiar with the members. You should also have learned a lot about critiquing and understand how much work and time are involved. Hopefully, you will have begun to discover a new perspective on writing. Now you’re ready to take the next step. Now you’re ready to ask for people to critique your first chapter in each of the groups. Ideally, you would like to get as many people to volunteer as you can. One of the reasons for having them just critique your first chapter is so you can get these critiques back fairly quickly. Agree on a timetable and let them know that you have specific concerns that you would like them to assess and you will email that list to them with the first chapter. Also, let them know that you’re interested in any other suggestions or comments that they have. Before I go to next step I want to point out why you only want to send the first chapter. You want to get these reviews back quickly so you will have the information you need to choose your 3-5 alpha readers. You will hopefully be able to assess which of the critiquers give the most thorough and helpful feedback and which ones stick to the agreed-upon timetable. The latter is not nearly as important as the former but it is important. The second reason for only sending out just the first chapter is that once your little band of alpha readers has reviewed your entire manuscript you’re going to rewrite the novel. You are probably going to cut, add, shred and possibly stand on your head. And when you’re finished with the pulling out hair and gnashing of teeth, you are going to need beta readers that have never seen the original form of your manuscript. You want fresh eyes and you may want to get some volunteers from the groups to which you belong. Let’s face it. No one wants to read the same book again just after they finished it. Not voluntarily…for free! Now back to getting your first chapter critiqued. Hook – Does the opening have something that keeps the reader from putting the book down? If so, is it introduced quickly enough? Characters – Are they well rounded? Is the Main Character likable, sympathetic, or do they inspire respect? Are there enough facets of the character revealed to give them depth and give the reader a clear picture of who they are? Plot – Do you think the first chapter gives the reader a clear picture of the primary conflict or at least a good idea of what it is? Can you detect foreshadowing of the conflict to come? Too much? Too little? Does it cross the boundaries into telegraphing? Pace – Does the story feel like it’s going somewhere? Is the story moving too fast or too slowly? Language and voice – Did you “feel” the story? Is the narrative clear? Setting – Is the reader grounded in real scenes? Is there sufficient description of the setting? Is there too much? Themes – Is the theme apparent at this point in the story? Is it original? Appropriate for the times? Or some astounding new philosophy that can change the reader’s perspectives? These questions can be adjusted based on your manuscript but you do want to include all 7 topics. Now you can send off your first chapter and you should get a lot of helpful feedback on this chapter along with the information I mentioned earlier. While you’re waiting for your critiques, go back to working on your next project and leave your critiquers alone. In Part 4 I’ll discuss chapter 1 critiques, the 4 types of critiquers, the hunt for the elusive alpha reader, suggested questions for the successfully captured alpha readers when reviewing your manuscript, and other such fun things guaranteed to cure insomnia. Thanks for reading if you made it this far. Your comments, suggestions, and feedback are always welcome. Thanks to everyone that read, liked, commented on, and reblogged parts 1 and 2. I deeply appreciate it. Thank you, KC Redding-Gonzalez for posting the link to your Horror/Dark Fiction/Poetry critique group in the comments on Part 2. If anyone else would like to share links to critique groups they like, please feel free to post them in the comments.